2. 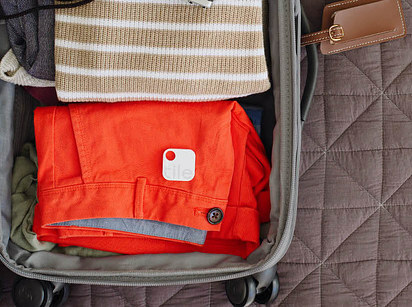 Tile ($25 each) keeps track of your luggage, and can locate it when lost. Tile is a phone-connected, Bluetooth-enabled tracker. You can prompt Tile to ring if it’s within 100 feet of your phone. Conversely, you can press the Tile logo’s “e” to ring your phone. The companion app also records the last location the tracker recognized your item. 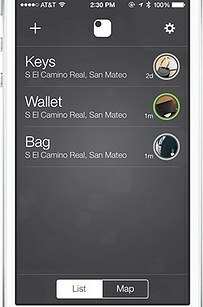 If someone else snatches your luggage and it goes out of Bluetooth range, you can expand the search using all Tile apps in the Tile community. Tiles need to be replaced every year because the battery runs out, and can be bought at a discount in bulk ($70 for 4, $200 for 8, etc. ).